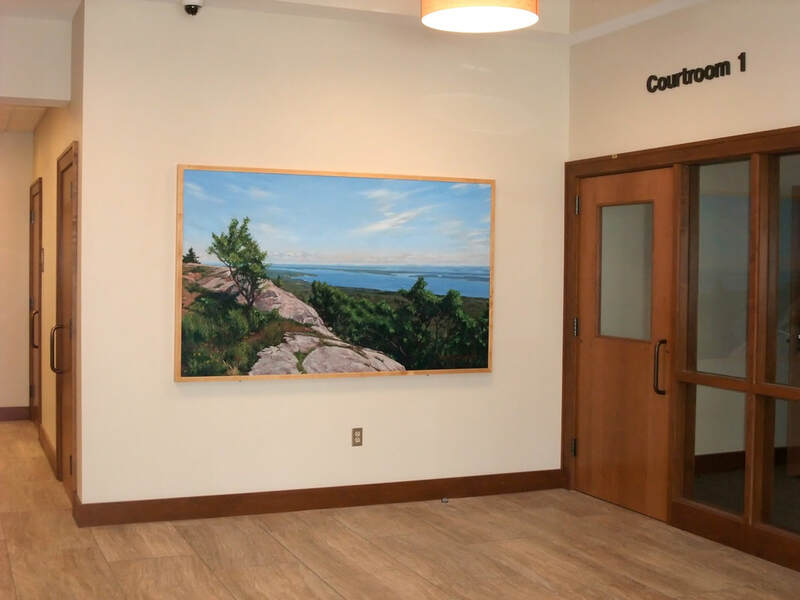 With the able support of building manager Tim Sticht, we hung my Percent for Art painting commission, "From Bald Rock Mountain, Lincolnville" at the new Waldo Justice Center in Belfast, Maine, February 26. I'm very pleased with the placement; it's nicely lit, and the first thing you see when you enter the building. All images are protected by international registered copyright. Any unauthorized use or publication of this work is a violation of, and prohibited by copyright law. 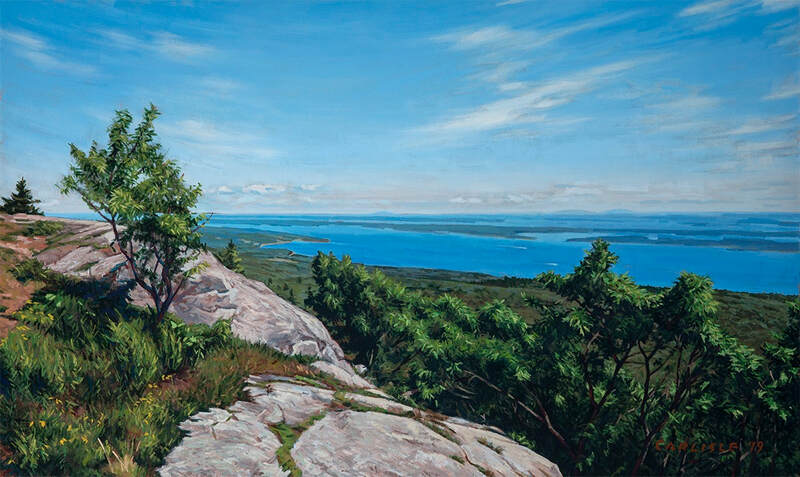 The artist specifically reserves all copyrights and reproduction rights for the images and in all artwork created by him, unless those rights are specifically assigned or granted in writing to a second party. © All artwork copyright Gordon B. Carlisle. All rights reserved.